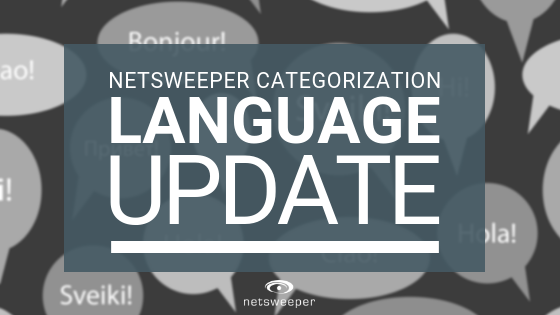 New Netsweeper Categorization Language Update for August 2018! We have released updates to the categorization engine and training data-sets. This update includes improvements in the following languages: Arabic, English, French, Japanese, Persian, Polish, Portuguese, Russian, Simplified Chinese, and Spanish. Please note that no action is required by our customers to receive these updates and all customers will notice an improved categorization experience. If you have any questions or comments, please feel free to reach out to Netsweeper Technical Support. Want a Live Demonstration of the Netsweeper Platform?